The Allianz Arena will feel even more like a real home for Bayern Munich thanks to an interior makeover. Bayern Munich have given the Allianz Arena a facelift in the club's colours this summer as the Bundesliga champions finally make the stadium home. From its opening in 2005 until last summer, Bayern shared the state-of-the-art venue with neighbours 1860 Munich. But with 1860 moving out, Bayern decked out the Allianz Arena in the club's traditional red and white in time for the 2018/19 season. The record champions' supporters got a first look at the new developments during a 1-0 friendly win over Manchester United earlier in August - a game which was held to mark the occasion. 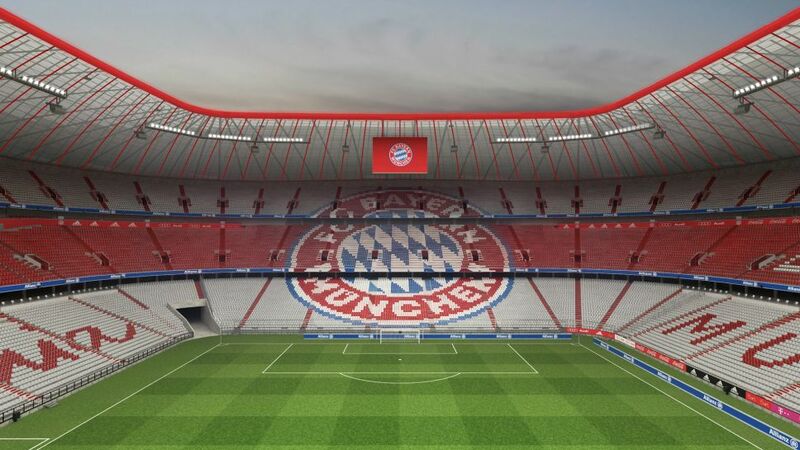 The new seats display the club badge at one end of the stadium, while the two side stands feature the club's official name — FC Bayern München — and its Bavarian motto, Mia san mia (We are who we are). Shortly after the end of the 2017/18 Bundesliga season in May, work began to remove the stadium's previous grey seats, which season-ticket holders had first option on purchasing before they went on general sale. Each seat cost €20 ($24.60), half of which went to Bayern's charitable foundation while the other half covered costs such as postage and packaging.